After a run of three weeks of bad/frustrating concert shoots, it was very refreshing to get a chance to shoot an artist like Marina & the Diamonds. She (the band is a single performer with a backing band, despite the name) was a dynamo on stage, changing costumes and working the crowd into a frenzy with her every move. Marina & the Diamonds is the new girl power. A less schlocky version of Katy Perry. 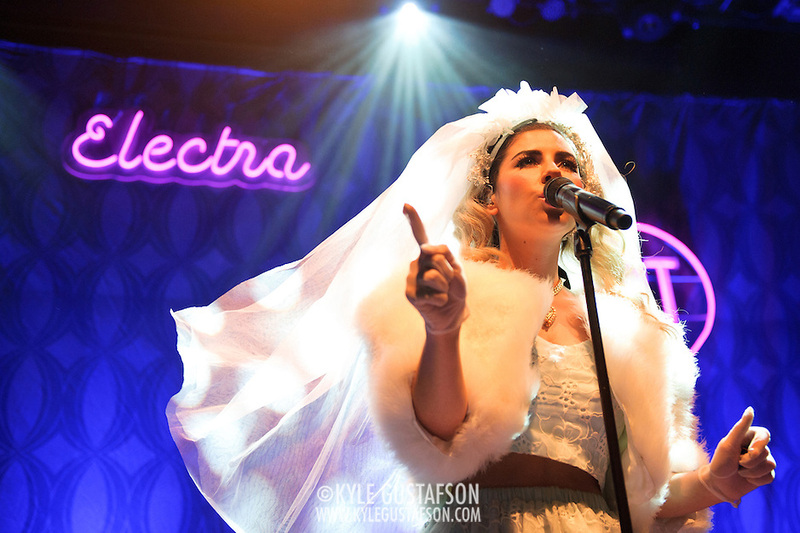 Lights for this show were pretty good, but Marina’s wedding dress & veil outfit made ti hard to meter given the LED lights being used. It’s a fine line between bright white and glowing, so be sure to keep an eye on your highlights. We were allotted the standard three songs with no flash. 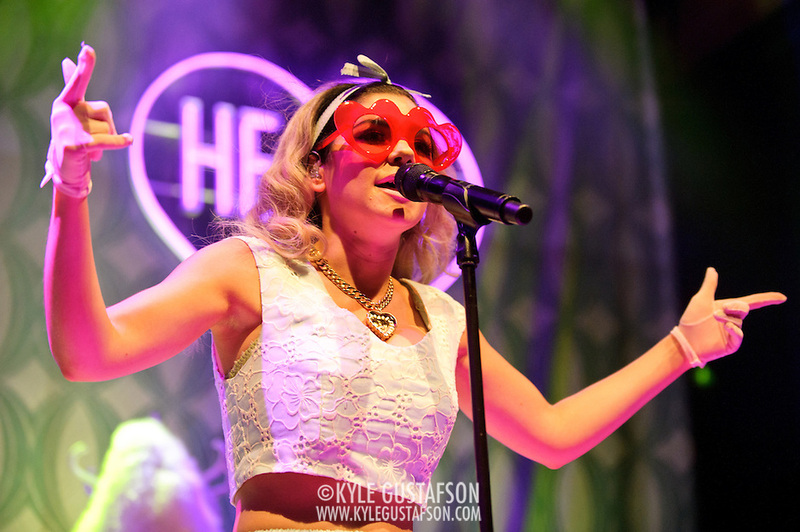 Marina moved around the stage quite a bit, alternating between standing behind the mic and prancing around the stage. Lights varied from deep reds to deep blues, but there was generally enough front lighting on Marina to keep white balances from getting too wacky.